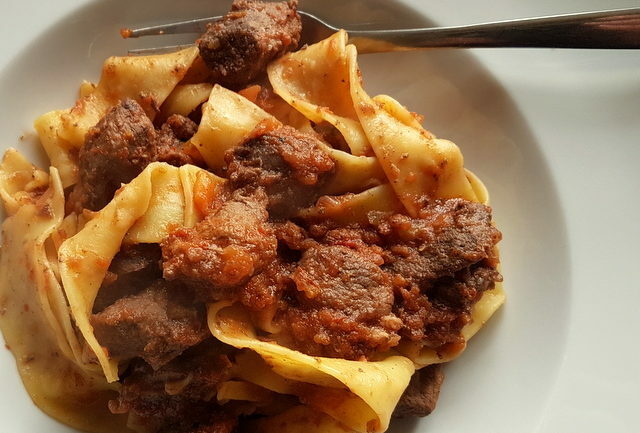 This rich and hearty wild boar ragu recipe comes from Tuscany, although wild boar ragu with pasta is popular in a number of other Italian regions too. Pappardelle con ragu di cinghiale alla toscana. To many people, wild boar ragu sounds rather exotic and luxurious! 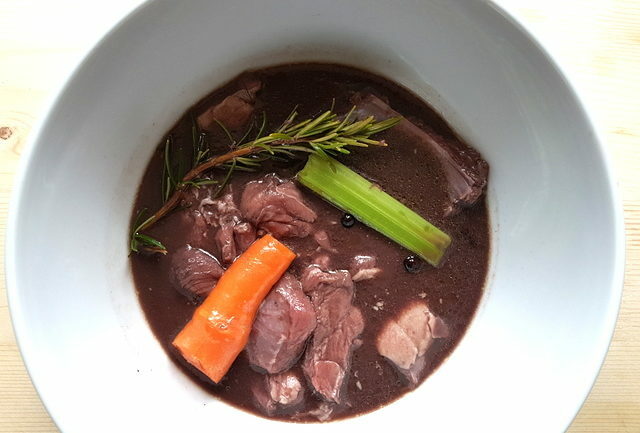 But, surprisingly, wild boar has been hunted and eaten by humans for thousands of years and is used in traditional recipes in many parts of the world. Here in Italy, wild boar are hunted and farmed throughout the country. The meat is used to make salami and cooked in various ways, although mostly braised or stewed. One of the most well-known wild boar dishes is pappardelle with wild boar ragu, which originated in Tuscany where it is often thought of as ‘the’ regional dish! Wild boar are widespread in Tuscany. I have read that there are around 150,000 wild boar in the region. Many of these animals can be found in the Maremma area, a beautiful unspoiled part of Southern Tuscany, which is home to a large national park of the same name. 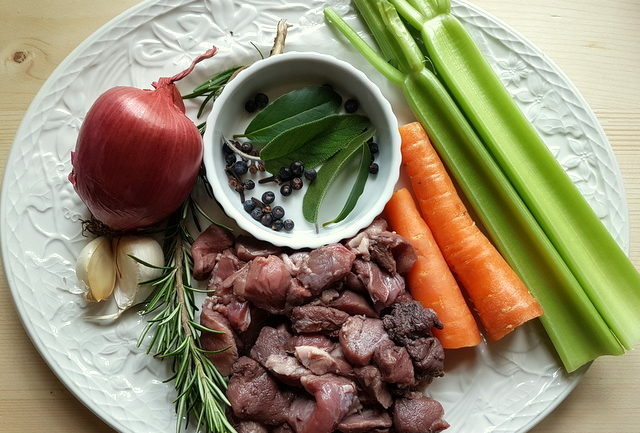 Hunting wild boar is a tradition and a passion in Tuscany and there are many Tuscan specialities made with wild boar. The region hosts about 10 annual wild boar festivals in different towns and villages where visitors can taste some of these foods. Wild boar is a very healthy meat! Whether farmed or hunted, wild boar is a very healthy meat. It is lower in calories, fat, saturated fat and cholesterol than normal pork. It’s also higher in protein than pork, beef, lamb and chicken. When farmed, the animals are kept in a free-range environment and aren’t given any antibiotics or growth hormones. This is true not only in Italy, but also the US. Apart from being a healthier meat option, wild boar is also very tasty. It falls somewhere between pork and venison, although the older the animal, the stronger the flavour. Older animals also have tougher meat. Here in Italy, the meat for wild boar ragu is traditionally marinated in red wine to not only tenderize it, but also to add flavour! 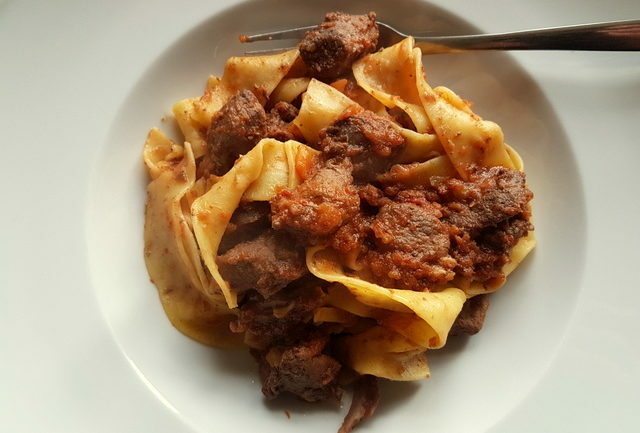 This is what I did for this Tuscan pappardelle with wild boar ragu recipe and the meat was melt in your mouth soft! Marinating the wild boar meat makes it tender. As I mentioned above, the wild boar meat has to be marinated in red wine with herbs and vegetables for 12 hours before cooking. Some people leave it for 24 hours! So, you will need to take that into account when planning to prepare this dish. However apart from the marinating and cooking time, Tuscan wild boar ragu is pretty easy to make. Cooking times can vary depending on the meat. I found recipes with widely different recommended cooking times (from one hour to 4 hours!). So, I suggest it’s best to be prepared to cook as long as necessary for the meat to be tender rather than just to follow the stated cooking times. As I said before the older the animal the tougher the meat, so meat from a young animal will require less cooking time than that of an older boar. Mine took about 2 hours. Other ingredients for your wild boar ragu. 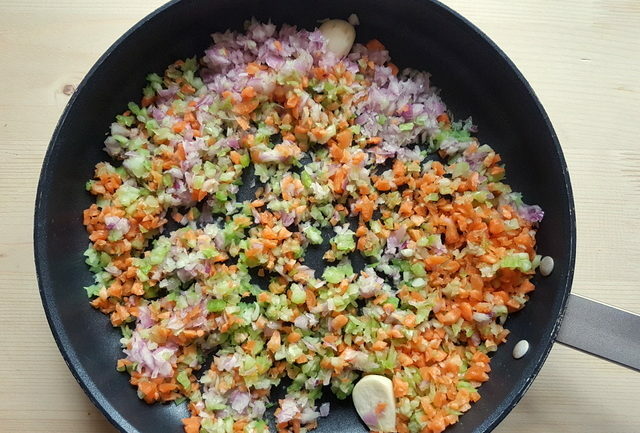 The other ingredients are similar to those in other ragu recipes; onion, carrot, celery, peeled tomatoes and herbs such as rosemary and bay leaves, as well as juniper berries. Some recipes call for sage instead of rosemary, or both. I didn’t use sage. Some recipes suggest using the marinating veggies in the sauce. But, I peeled and chopped fresh ones as I didn’t like the idea of using the wine soaked ones. Wow your guests with wild boar ragu! Nowadays wild boar meat is quite widely available and can even be bought online. Here, I can buy it frozen all year round. There are wild boar around my house and we often see them when driving home at dusk! The meat I used for this recipe was actually given to me by friends who hunt and was very fresh when I got it. However, I had to freeze it as I wasn’t able to use it immediately! Needless to say, it is more expensive than pork. 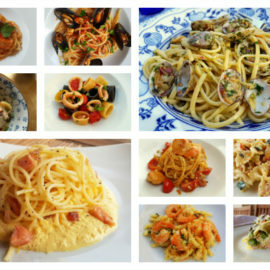 But, now and again, I think it’s great to try new foods and this is very much a special occasion dish, even in Italy. It’s sure to give your meal a wow factor and impress your guests. Wild boar ragu is nearly always served with pappardelle, or sometimes tagliatelle. However, you can use different pasta! 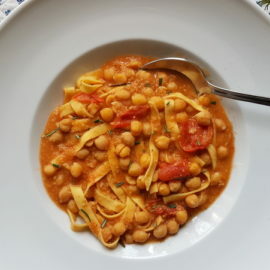 You can also serve it with polenta or mashed potatoes. Both are yummy, although I prefer with pasta, of course! i am just a huge sucker for a good ragu. 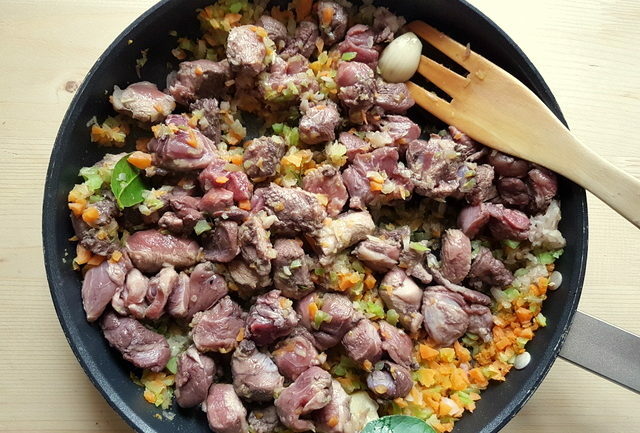 and i love that you used wild boar – such a flavorful meat! This is like ultimate comfort food! Thanks so much Danielle! I love the flavour of wild boar and it makes a fabulous ragu! Beautiful. 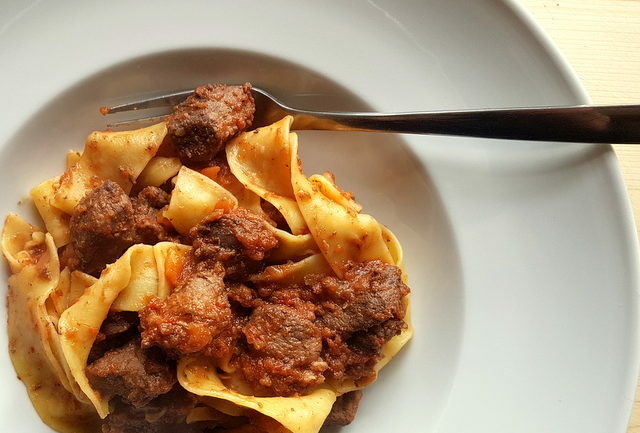 This post brings back memories of enjoying wild boar ragu in Tuscany years ago. Love your recipe. Beautiful. And what memories. My husband and I made a point of having and enjoying wild boar rage when we traveled through Tuscany. Thank you so much Mimi! Yes wild boar ragu is such a Tuscan classic. I like it a lot, it’s tasty and healthy! We even have wild boar where we live in Veneto. I see them near our house quite often! I used to eat a lot of wild boar as a kid but I haven’t had it in years. 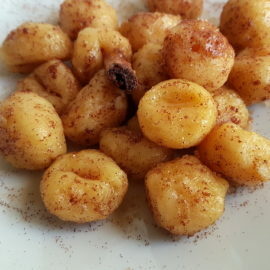 You really make me want it now with this divinely looking recipe. 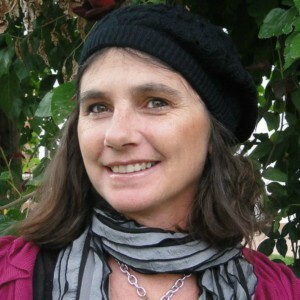 Thanks so much dearest Ramona! 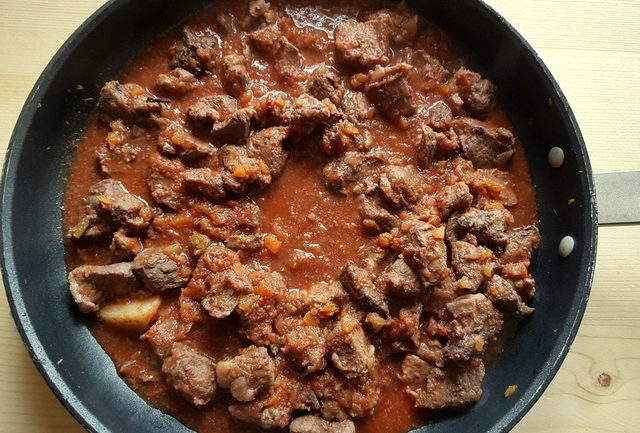 Glad this recipe has inspired you to try wild boar ragu. I’m sure you’ll love it! Hugs from Verona! Wild boar is more common to me than beef, the joys of living in eastern Europe 😉 I love the stuff I know this will be superb, can’t wait to make it! I cook with a lot of venison, we love it. I have never tried wild boar though! I am jealous! 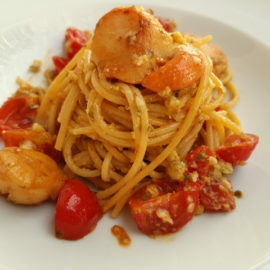 I would love to try it in this delightful pasta recipe! i must see if I can find some in the states! Thanks for the inspiration!